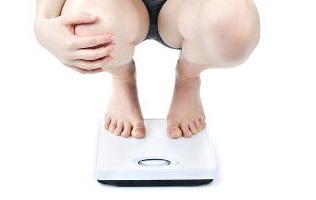 NEW YORK – Anorexia increases a patient’s risk of death fivefold, and people with bulimia or another non-specified eating disorder also face an increased risk of death — about twice as likely to die as people without those disorders, a study said. The cause of deaths wasn’t always clear, but among anorexics who died, one in five was a suicide. The other deaths were attributed to the eating disorders’ brutal effects on the body over time, researchers wrote in Archives of General Psychiatry. “Of course, eating disorders have serious physical consequences,” said lead author Jon Arcelus, of Loughborough University in the UK. “The study could not identify how people died, but there is no doubt that the reasons behind this are related to the physical problems of the illness,” he told Reuters Health in an email. His group carried out a meta-analysis of 36 studies published between 1966 and 2010, which included 17,000 people with an eating disorder, of whom 755 died. Their analysis showed that five of every 1,000 people with anorexia died each year, which was five times greater than would be expected for comparable people in the general population without an eating disorder. Among those with bulimia or other eating disorders, the death rate was twice as high as expected compared to those without an eating disorder. One reason for the results is that people with anorexia nervosa have both psychiatric and medical problems, but most facilities that treat anorexia focus only on the psychiatric problems, said Laird Birmingham, medical director of the Woodstone Residence, a residential facility for people with eating disorders on Galliano Island in British Columbia, Canada. He noted that most people with anorexia also suffer from depression, anxiety or obsessive compulsive disorder. “Almost all centers only treat (the) anorexia, not the other disorder. Unless both are treated, they won’t get better,” he told Reuters Health. The higher risk of death among those with anorexia reflected the more serious consequences of the disease, he added. “They are very malnourished. That isn’t the case with the other disorders,” he said. Arcelus and his colleagues wrote that the results highlighted the seriousness of eating disorders, noting that people who are diagnosed with anorexia later in life, those who are already severely underweight when diagnoses and those who also abuse alcohol seem to be at the greatest risk of dying. “This sort of study reminds people that a significant percentage of people die of this disorder,” Birmingham said.